The vision of the Dolphin House and the entire 7th Judicial District Multidisciplinary Team (MDT) is to serve our community through integrity, teamwork, respect, and accountability in order to minimize trauma on victims of child abuse. The mission of the Dolphin House and the entire 7th Judicial District Multidisciplinary Team is to educate, advocate, and protect victims of child abuse. The 7th Judicial District Child Advocacy Center, DBA The Dolphin House, serves the six counties that make up the 7th Judicial District in western Colorado. These counties are: Delta, Gunnison, Hinsdale, Montrose, Ouray, and San Miguel. 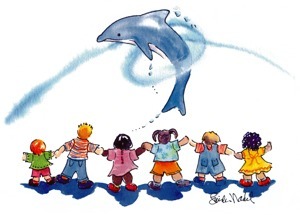 The Dolphin House is a child-friendly facility whose purpose is to provide child victims and their non-offending family members a safe environment for telling their very difficult stories and for having a forensic medical exam during the investigation of child abuse. As a Colorado Child Advocacy Center, The Dolphin House staff coordinates the multidisciplinary team process for investigation of child abuse cases. Members of the multidisciplinary team include professionals from law enforcement, Child Protective Services, mental and medical health, the District Attorney's Office, victim advocates and the child advocacy center. 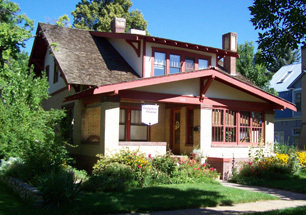 Although The Dolphin House coordinates many types of child abuse cases, primarily children who are served through The Dolphin House are victims of sexual assault. Working together as a team ensures that during every phase of the case, the best interests of the child victim and his/her non-offending family members, are central. Shortly following the initial forensic interview and/or medical exam, the child and his/her family returns for mental health assessments that focus on the trauma that brought them to The Dolphin House. This enables the family to be referred more quickly for the help they need to deal with the traumatic occurrence, as well as to deal with any ongoing trauma that may occur during the investigation, intervention and prosecution processes. Neutral, Pediatric Forensic Interviewers who have received extensive training and meet the standards set by the National Children's Alliance, conduct all child interviews at the Dolphin House. Pediatric Forensic Medical Exams are conducted by a pediatrician who is specially trained to provide these exams. Consistent support for child victims and families until they become stabilized and functioning normally once again. "The staff is top notch and it is quite apparent that their hearts are involved in making a difference. They do everything exceptionally well!"